My teacher told me that there were only two things keeping me from becoming a great violinist---“My right hand and my left hand". The Chinrest Lip Company Ltd. is proud to introduce a thrilling new state-of-the-art invention to the violin world that will immediately improve both “right hand and left hand” functions. Now, everyone has an opportunity to not only hold their instrument securely and comfortably without a shoulder rest, (in the same manner as most of the greatest violinists who ever lived), but to play their very best also! Our product is ergonomically designed to help each performer place the instrument in a more correct position on the body, facilitating a more rapid improvement of all technical skills, for the sole purpose of making music at the highest artistic level. "Thank you so much for this wonderful invention . I cannot believe something so small can make such a huge difference with the ease of playing and holding the violin . 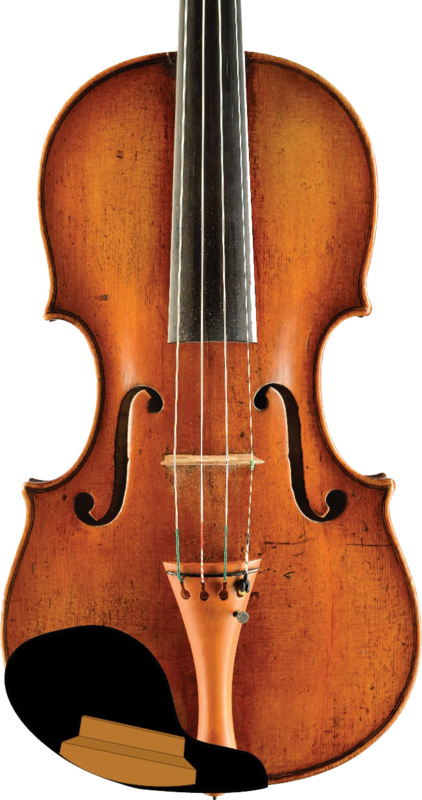 I have been playing the violin without a shoulder rest for years and I have experimented with various chin rests only to revert back to the Guarneri style chin rest each time . Now with the addition of the chinrest lip , the comfort is astounding . I will definitely be ordering more in the future and will highly recommend it to my colleagues . Thank you again." "I went two days ago and they said it was in the truck. I went today and they said he delivered it on Saturday. It wasn’t there on Saturday. I went home and it was in the mailbox. So far I love it! Thanks!" "I just got mine chinrest lip and it is amazing! Thank you very much, you were very kind and I wish you all the best :)"
"Hello! Just a week trying the chinrest, it's absolutely fantastic, I've just played without shoulder rest for 6 years but, on concerts, some insecurity. But with your invention I've played yesterday on a concert and I was so secure, really impressed. Thank you! I'll buy more. " "Thank you for finding this wonderful or inventing this wonderful device. I studied with Leonard Posner, Ivan Galamian, Dorothy DeLay, was her assistant for a while, and Oscar Shumsky. If you have not heard of him or hear his records, you must. In his day, he was considered the authority on Bach and his recording of the unaccompanied violin Sonatas and Partittas are unsurpassed. His Fritz Kreisler recordings are REALLY beautiful. I say this because I had the privilege of studying with him for three years and was in heaven the entire time. I tell you all of this because his tone was definitely far and above anyone else and I was in school with quite a few of the top violinists of our time. No one could match Shumsky's magnificent tone. He definitely would have promoted this product had he still been alive and I am so VERY glad to have found it. I teach now and am so excited to be able to give these wonderful devises to my students so I am writing to order some more so that they can be comfortable and free while playing."